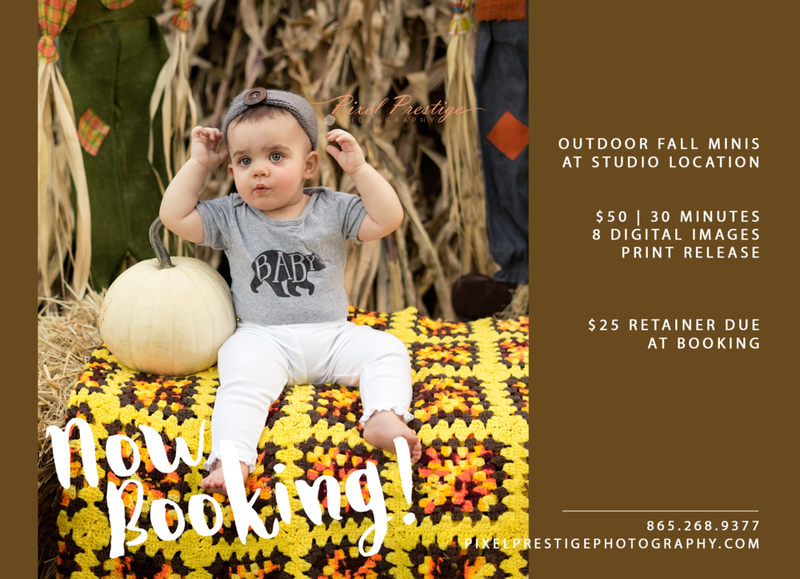 Now booking outdoor fall regular and mini sessions! From now until the expected peak season (10/15-10/31) I will be doing outdoor fall sessions at my studio location. Setup includes real hay bale/s, real corn stalks, and real pumpkins! I will only book fall sessions until November 1st so hurry and book before time runs out!